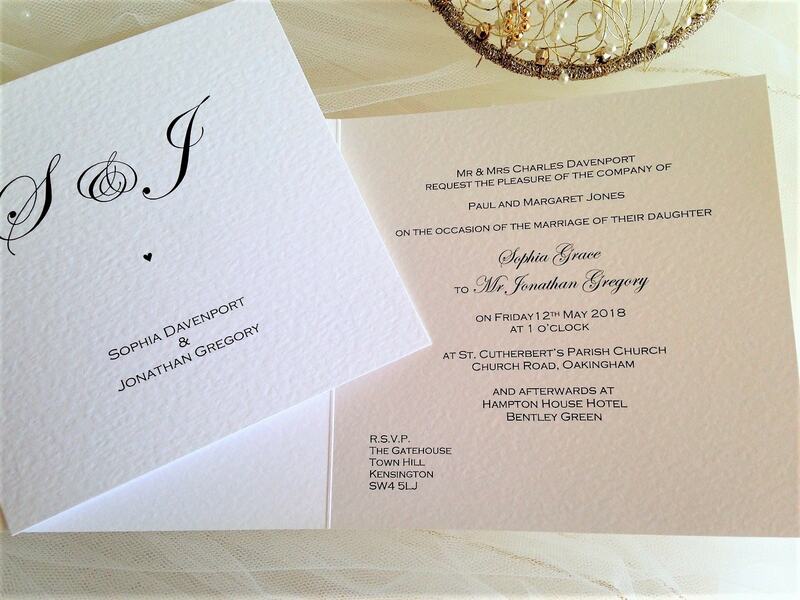 Oxford Wedding Invitations are printed on top quality heavy weight (270gsm) hammered card and are available in either white or ivory. 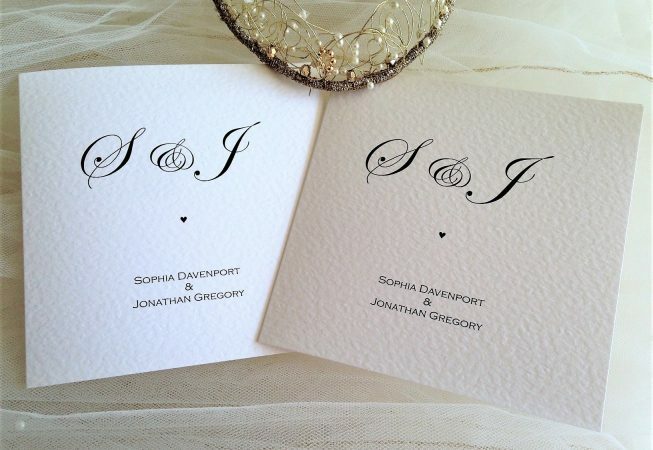 Classy, elegant invitations, they feature the bride and grooms initials in a monogram style and a small heart design. colours in both satin and organza to match a colour scheme. 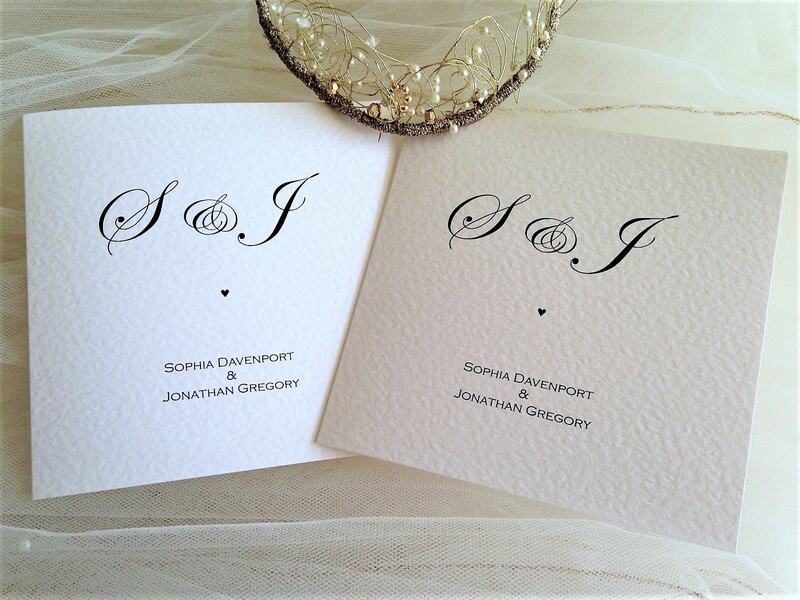 Oxford Wedding Invitations include all personalised printing. 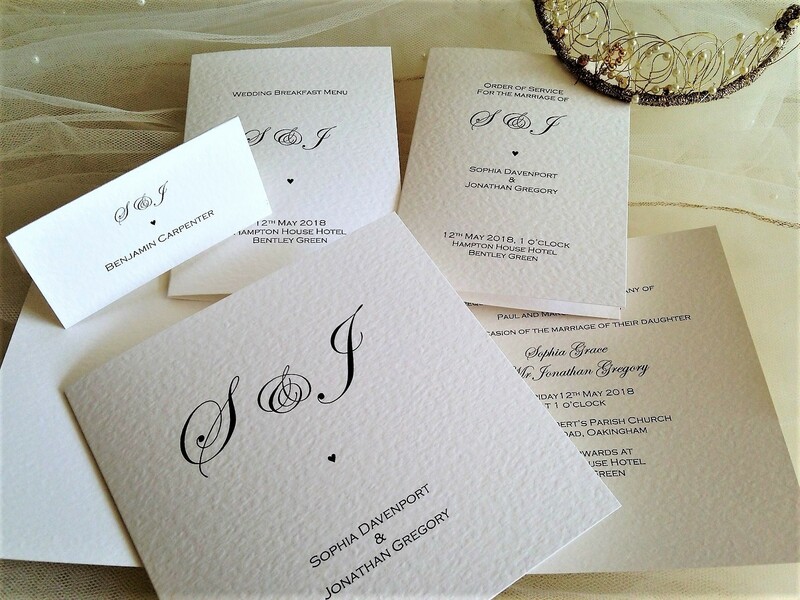 Wedding Invitation is a large square (15cm x 15cm). If you’d like to order its really easy just click here and follow the instructions.